This production is based on a film of the same name that was released in 1982. The movie starred Paul Newman and was directed by Sidney Lumet. It was written by David Mamet, who wrote Glengarry Glen Ross and Speed-the-Plow, among many others and was based on a novel by Barry Reed. The film was a box office success and was nominated for five Academy Awards, including Best Actor (Newman) and Best Director (Lumet). This version was adapted for the stage by Margaret May Hobbs. Frank Galvin is a lawyer that has fallen on hard times. He is a little too fond of the drink and his career is going nowhere fast! He is offered a new case of a medical malpractice suit. It’s a job no one thinks he can win as he’s going up against the medical establishment, the church and their top legal teams. He is offered an out of court settlement by Bishop Brophy, but turns it down as he starts to suspect there’s more to the case than meets the eye! This is a new production by Middle Ground Theatre who previously produced Agatha Christie’s A Murder Is Announced which ran in the Gaiety last year. They are a theatre company based in Malvern Wells, England, who specialise in these type of productions. They currently have a Ruth Rendell production touring, along with the Agatha Christie production mentioned above. Ian Kelsey takes the part of Galvin and should be a familiar face to many from his time in Coronation Street and Emmerdale. There are impressive performances from Denis Lill (Only Fools and Horses) as the retired Jewish lawyer, Moe Katz and also Paul Opacic (Emmerdale/Hollyoaks). 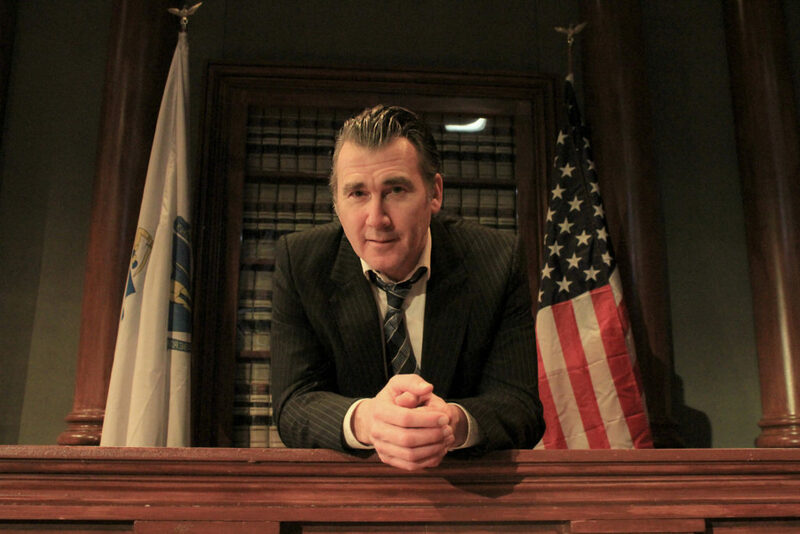 The production is set in Boston, so you can expect as many Irish accents as American. There are even a few mangled lines as Gaeilge, which comes as quite a surprise from an English touring company! The production has a large number of scenes in different locations, possibly due to the source material being a film. 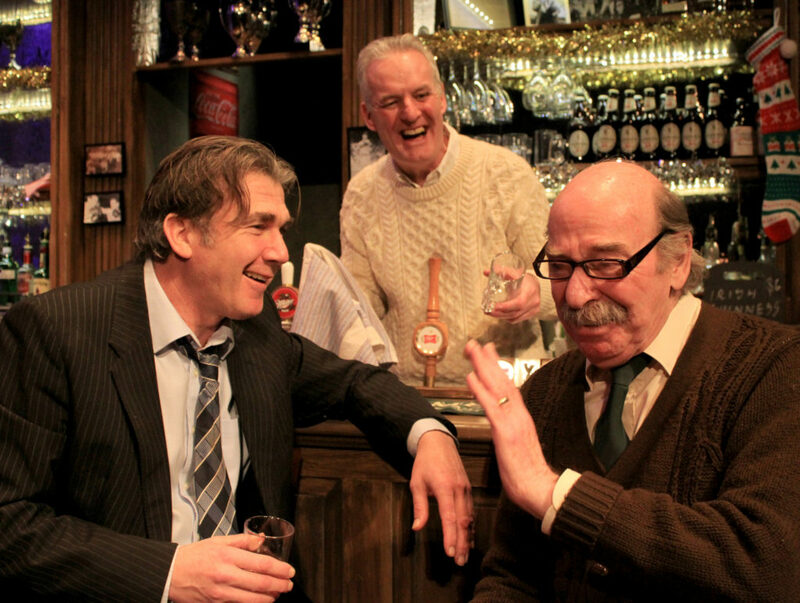 The company handle this as well as can be expected, with different parts of the set depicting Galvin’s local bar or his office. There are also flats that are lowered from the ceiling to create a variety of other locations. The constant movement ceases in the second part of the production, where the courtroom saga begins. If you’re a fan of legal dramas, you’re not going to go wrong with this production! While younger members of the audience may not be familiar with the source material, it does have a tightly written script with many twists and turns. Before the interval, the production moves quickly from scene to scene and it struggles with the constant movement. After the interval, the production really hits its stride, as the courtroom battle kicks off! It’s a fast-paced production that keeps the audiene engaged throughout.